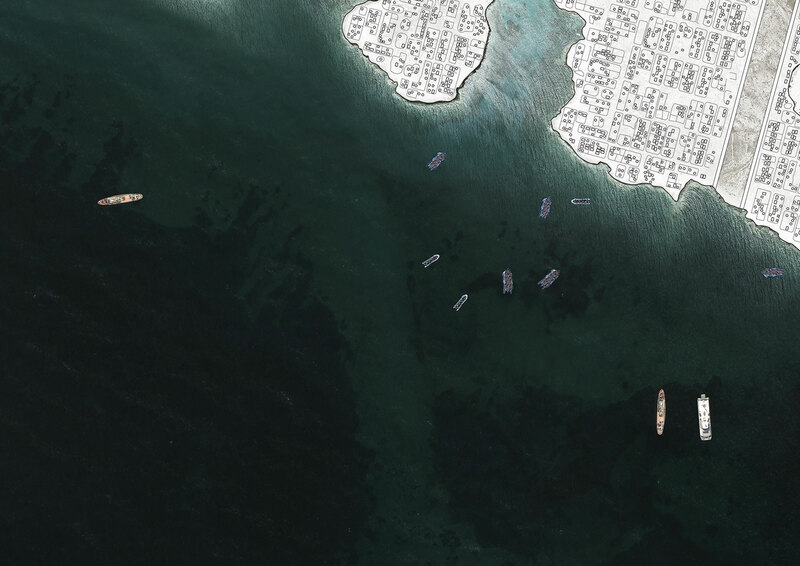 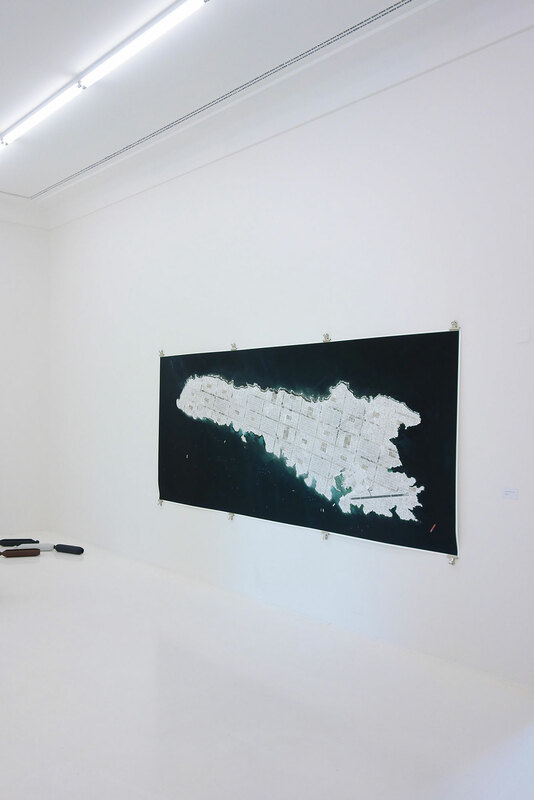 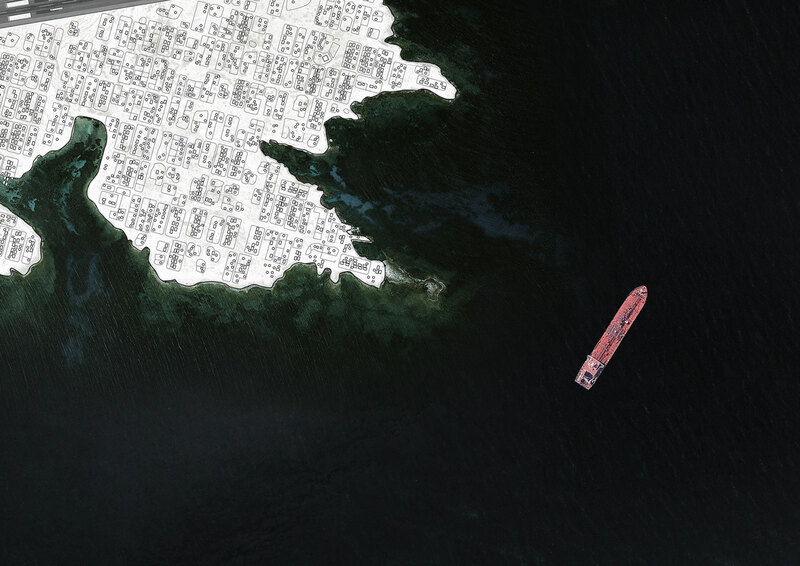 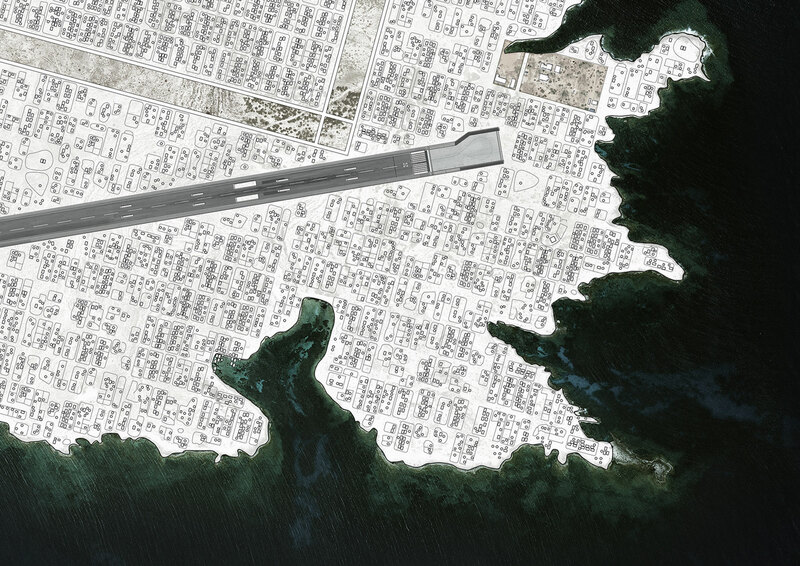 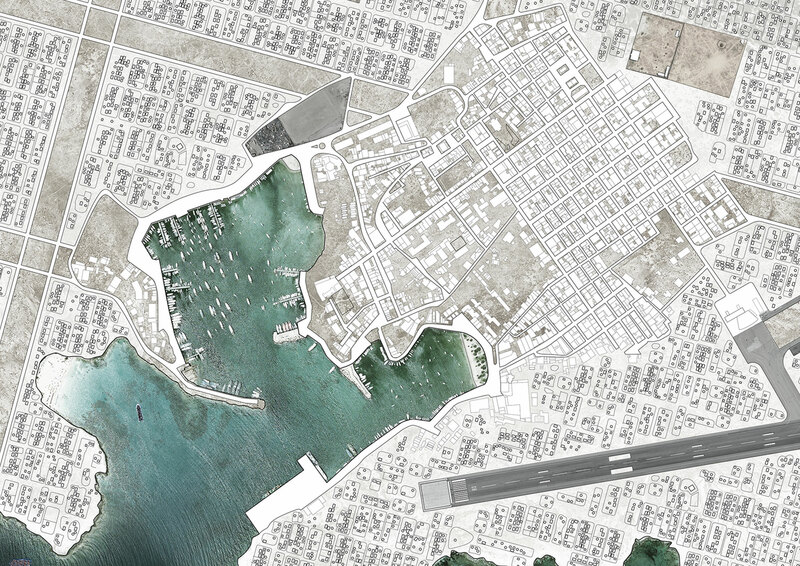 In the plan map ISLAND (LAMPEDUSA) the bound­aries between fact and fic­tion are blurred. 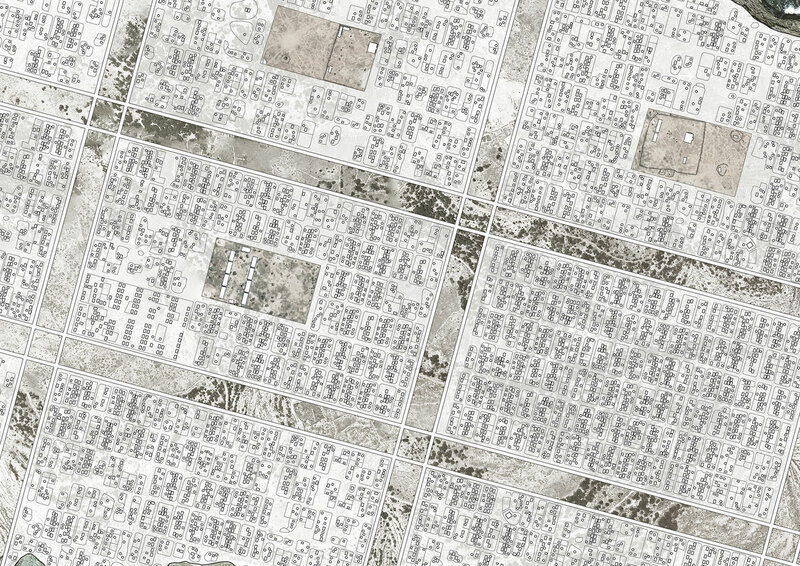 Extrap­o­lat­ing past and present refugee move­ments, a struc­ture resem­bling the Dadaab refugee camp in Kenya extends across the entire topog­ra­phy of Lampe­dusa. 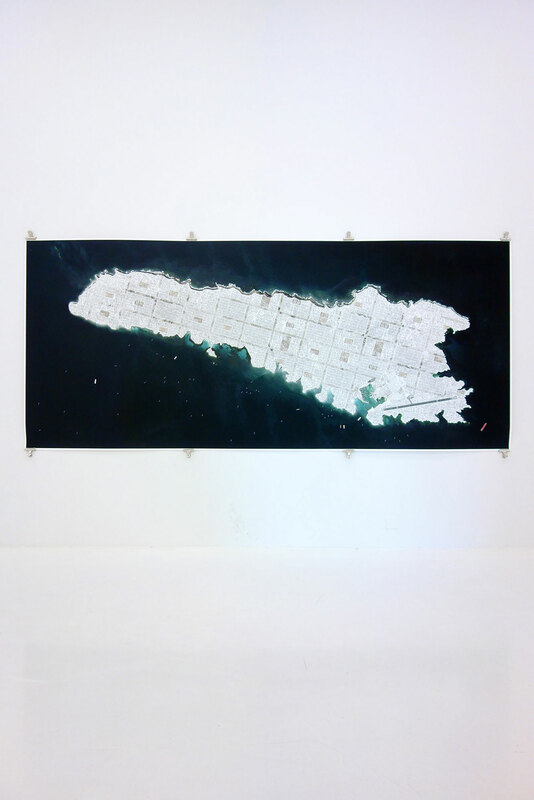 The island is turned into a gigan­tic camp off the shores of Europe – ratio­nal­ly planned and sit­u­at­ed between human­i­tar­i­an­ism and absur­di­ty – crit­i­cal­ly con­dens­ing pre­vail­ing polit­i­cal posi­tions.